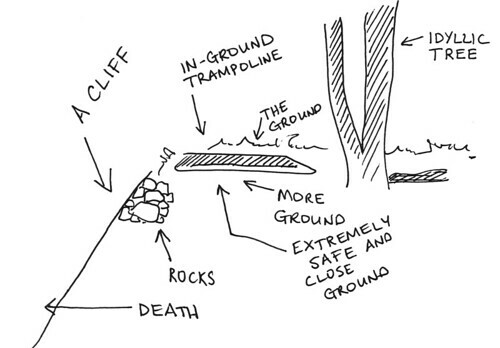 Recall, gentle reader, that I promised you the tale of the Trampoline of Doom. Here is that tale. It's a short one. More like a encyclopedic entry in the Great Big Book of Items of Doom than anything else. 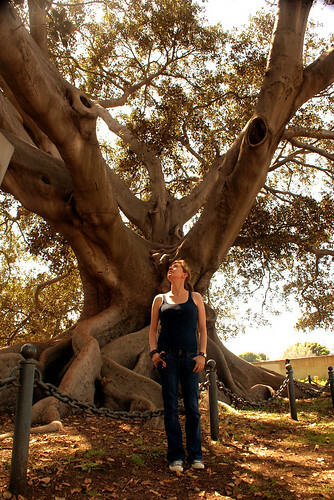 I came across it while I was in California for a wedding*. 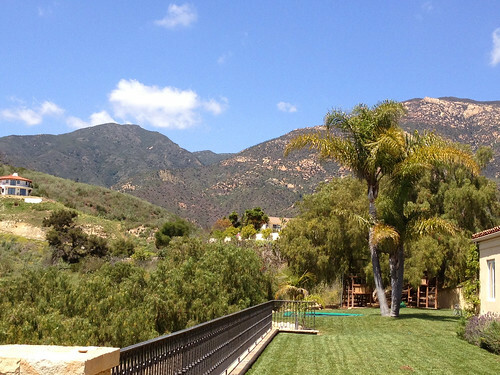 My entire extended family and I had rented a Very Spiffy House in Santa Barbara for the occasion. 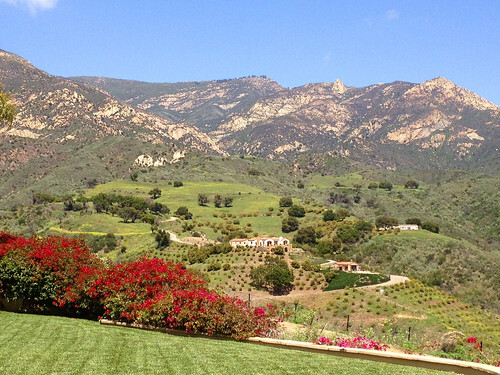 If you have not been to California or to Santa Barbara or met my family, I highly recommend it. All of these things offer a wide variety of activities. Below is a photo journal of such things. Well, mostly I just played a lot of pool. 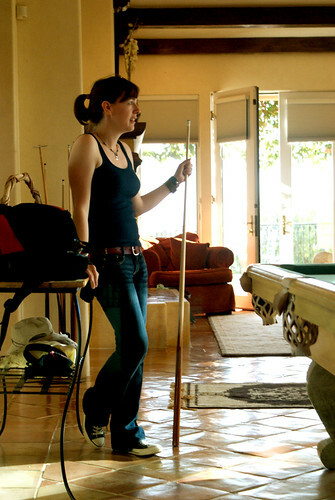 I considered a photo montage of all of the days and times my sister took photos of my playing pool, but it wasn't really interesting to anyone but the pool table's mother. So you get just one. I also shopped for dresses for the ALA Printz event in June. Like an adult. Like a normal adult woman. I was shopping like a pro. Uh, no, I didn't buy anything. I also did some research for the sequel to THE RAVEN BOYS. 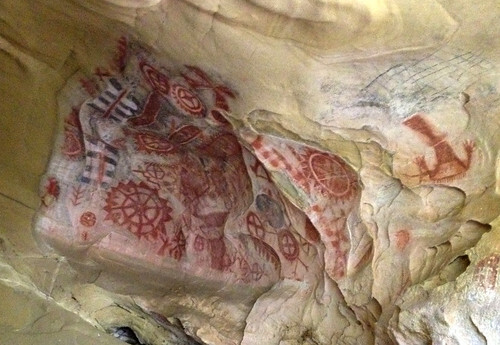 This is the Chumash Painted Cave, which dates from the 1600s "or something." I'm paraphrasing from the historic marker. 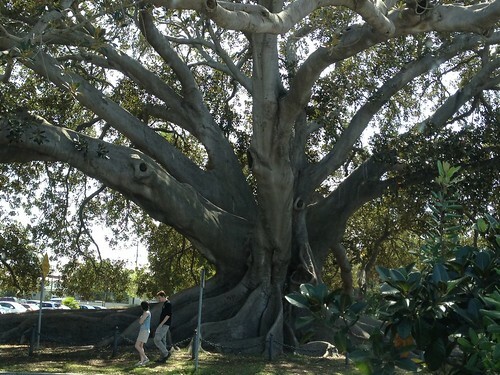 Then I did more research by going to see one of the country's largest fig trees. No. I don't think you get it. I said one of the country's Largest. Capital L.
I also enjoyed senselessly unending sunshine and aggressively beautiful landscapes from the front yard of our rental. 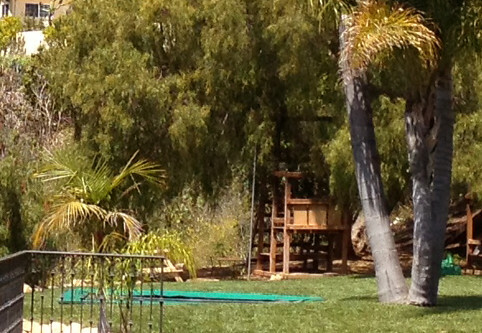 Which is where I found the Trampoline of Doom. Let me break this down for you, what you're seeing. 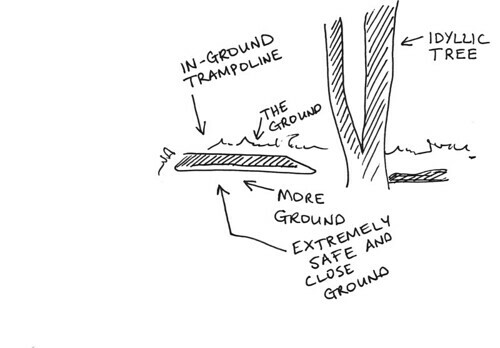 That's right, it's an in-ground trampoline, designed for safety. You can't jump off and tangle your limbs in anything except grass. Pretty brilliant. Also, you could hide bodies in the pit underneath it. That's a free bonus suggestion right there. Anyway, it's the paragon of safety. Until you zoom out. Let me break down THIS scene for you. Thing 1 and Thing 2 mostly swam in the pool.